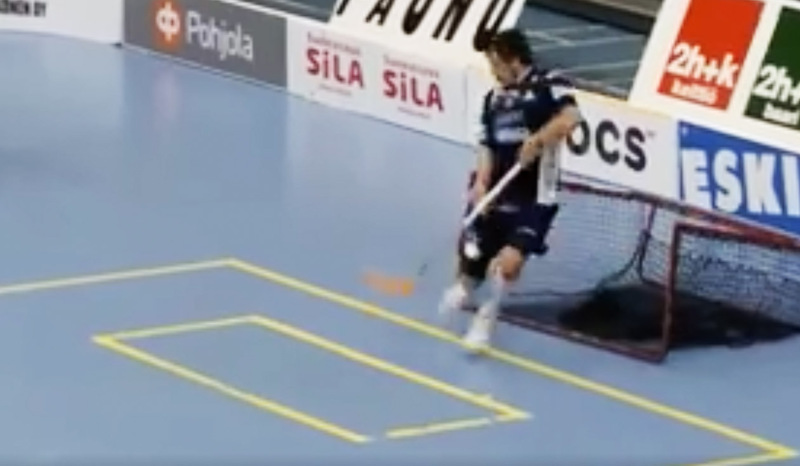 In the finnish Salibandyliiga an attentive ref applied a floorball rule many don’t even know. You actually don’t need a floorball cage to score a goal. It’s about the marked gap, which is just being covered by the cage.